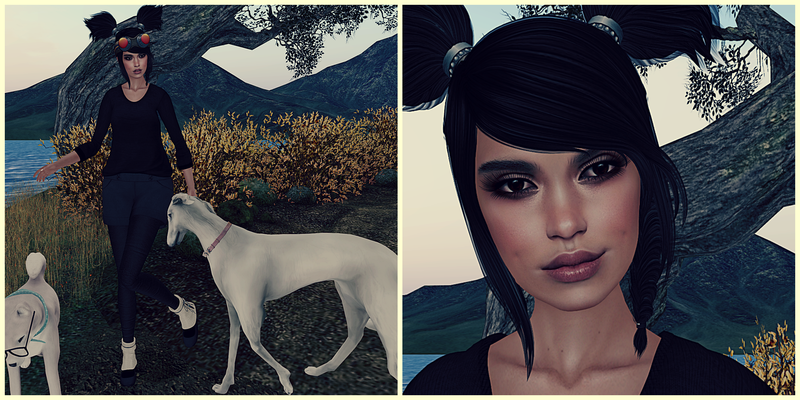 Hair:[Taketomi] Delia by Bella Earst.New! Catwa applier:[The Skinnery]Sienna by Umazuma Metaluna @Collabor88.New! Sweater:[Pepe Hair]Tucked jumper (Gacha) RARE by Pepe Hair @TCF.New! Shorts:[Pepe Hair]Straight cut shorts (gacha) by Pepe Hair@TCF.New! Flats:[C’est La Vie] Gaelle flats (maitreya, slink,TMP) by Larcoco .New!